You might want to find something to bite down on because this one is a bit of a shocker. The most aspirant (to put it politely) footballer of the modern age, Charles N’Zogbia, is angling for a move again after admitting that Wigan are merely a ‘stepping stone’ in his endless crusade toward glory. “Wigan is just a stepping stone. They know very well I’m not a player who is going to stay at the club. 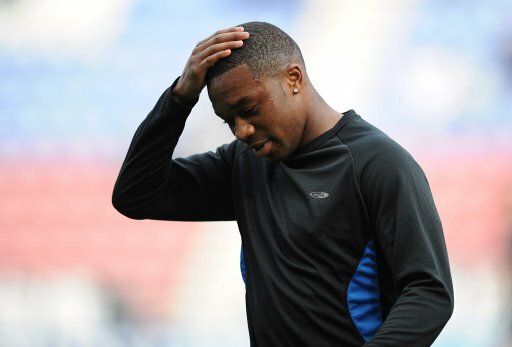 N’Zogbia is also reported to have said that an offer from Marseille was ‘not something he’d refuse’. Say what you want about his myopically bloated ego, but you really can’t fault his honesty – although this is the exact same trick he pulled to force an exit from Newcastle the January before last. So, where to now for N’Zoggy? Or, more to the point, who would want such a blatant attention-whore/beggar hybrid on their books come the summer? What’s so hideously wrong with someone who wishes to better themselves in their chosen profession? If I’m angling for a promotion or a job elsewhere, does that make me a whore too?! Liverpool need a left-back of genuine quality and Charlie Insomnia fits the bill. It’s amazing that Insomnia was convinced that Arsenal and Marseille had made bids for him whilst he was at Newcastle, yet for some reason we only sold him to a team almost as shite as us in exchange for an undisclosed fee and a crap right back. Wenger must have been worried about the negative effect on team morale signing N’Zogbia, a player better than their whole team put together (in his own head) would have. Stepping stone? To where, Blackburn? Charlie Insomnia is a fairly poor LB but a genuinely pacey, tricky, positive winger capable of a goal/assist or two.